Our artists created a concept drawing for this project to help the customer better envision the final product, and also for the artists to use as a template while creating the final layout. 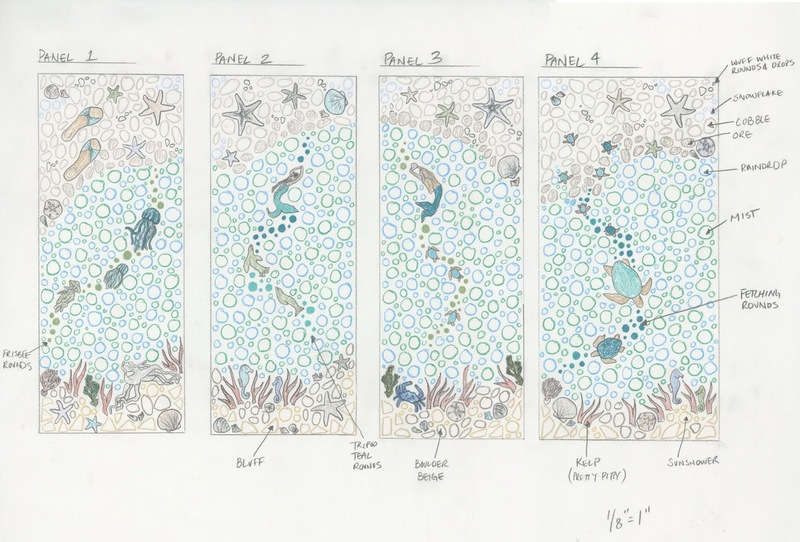 Once the sketch was approved by the customer we got to work! 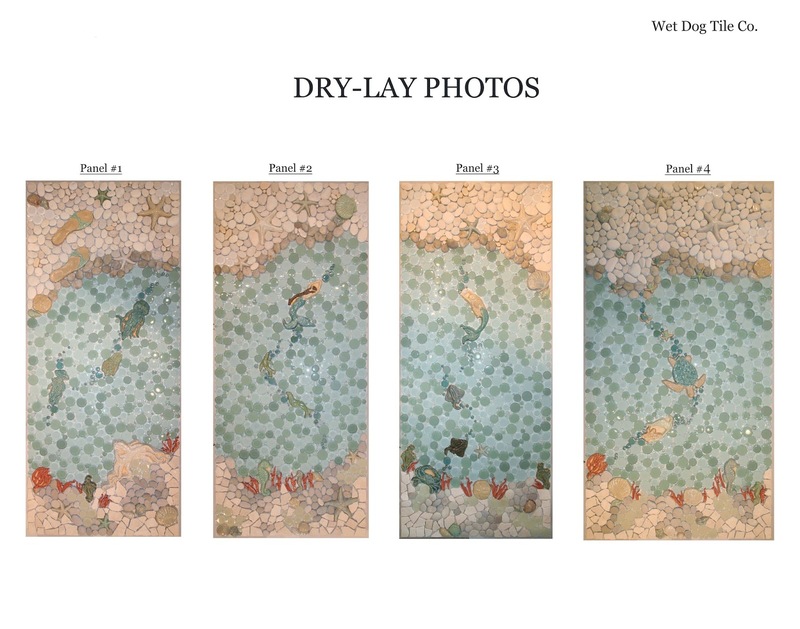 When the panels were completely laid out on the mesh-backing we took "dry-lay" photos to send to the customer. 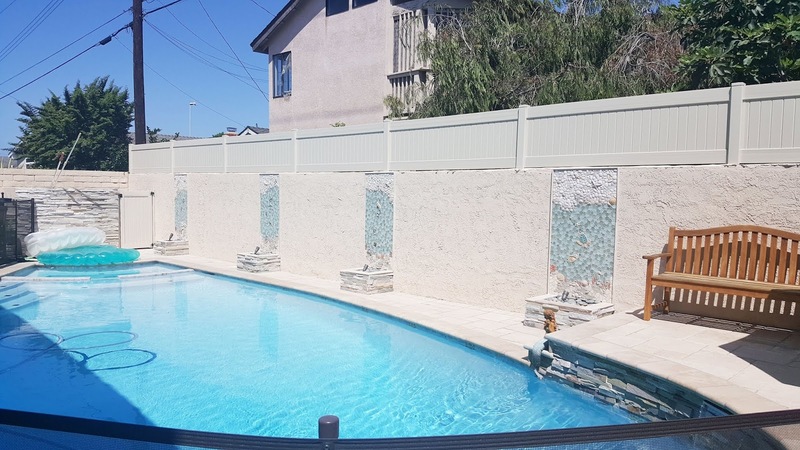 In this stage we're able to make requested alterations if needed (you might notice that a few elements were changed to achieve the desired look). Once the dry-lay photos get approved, our artists can begin gluing each and every piece to the mesh backing. 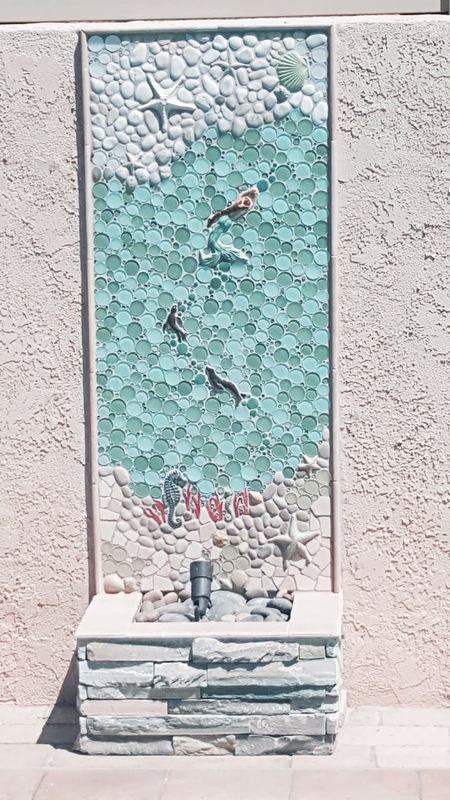 Once all the pieces were glued to the mesh and completely dry our artists cut the panels into interlocking sections so they could be packed up and shipped out. Each section gets labeled and they are shipped with an installation diagram so the tile installer know which piece goes where. Then once grouted, you can never tell where they were cut apart in the first place. 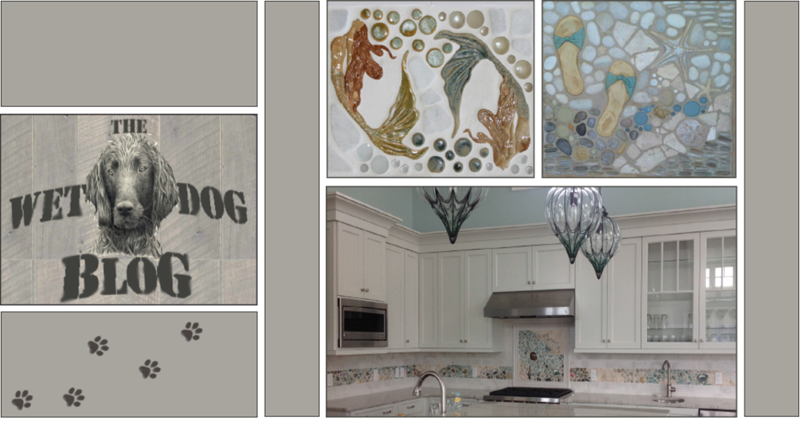 The tile installer did a great job, and the client was thrilled with their finished space - check out the final installation photos below! Panel #1 features our 13" Octopus, 8" Flip Flops, 8" Large Jellyfish, 7" Medium Jellyfish, 6" Small Jellyfish, various shells, starfish, kelp mosaic minis, and more. 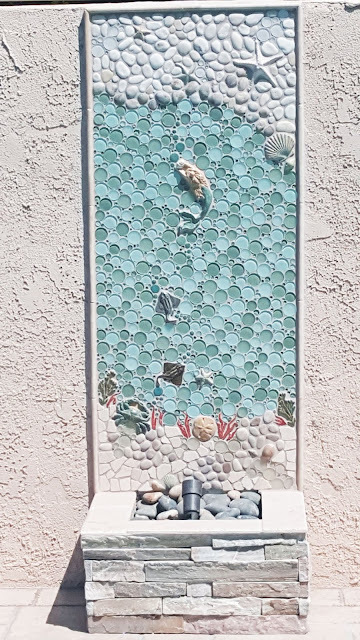 Panel #2 features the 10" Swimming Mermaid w/ Braid, 5" Medium Sea Lion, 4" Small Sea Lion, 6" Medium Seahorse, starfish, shells, kelp mosaic minis, and more. 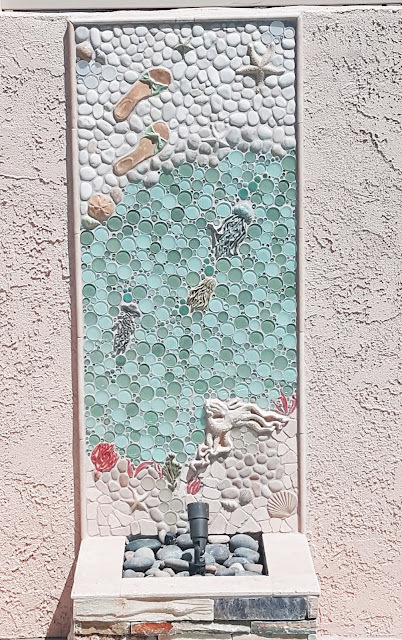 Panel #3 features our 10" Swimming Mermaid w/ Shell, the new 4" Small Rays, various starfish, shells, kelp mosaic minis, and more. Panel #4. 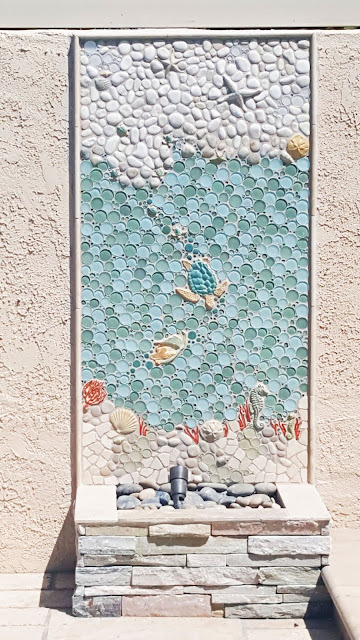 This panel features our 8" Large Sea Turtle, 6" Mermaid, 6" Medium Seahorse, various starfish, shells, kelp mosaic minis, and more! Here are all four panels side by side! Hope you enjoy! Have a great week!